The South West office has been operating for ten months with a relatively small but passionate and dedicated team working across the peninsular. Get Into Reading in the South West focuses on adult mental health and reducing social isolation in rural areas. There are currently 13 groups running across Cornwall, Devon, Plymouth, Dorset and Somerset – with more in the pipeline. One particularly noticeable benefit the Library Memory Groups has is upon members who have withdrawn from speech; reading aloud can significantly help with fluency. Professionals who have observed at selected sessions have witnessed the remarkable effects of the Reading Revolution in action. Other sessions take place in medical settings, in GPs surgeries – with a 100% attendance of 8 people over 10 weeks; The Haldon Clinic for Young People with Eating Disorders, a hospital day centre in Dorset; and Russell Clinic for Rehabilitation at the Wonford Hospital, Exeter. An important local initiative is to research and open up disused nineteenth century Reading Rooms, which will be taken over by community volunteers trained and supported by us. The first, a Fisherman’s Reading Room in the remote and library-less village of Newton Ferrers, opened in May. There is no shortage of people wanting to Get Into Reading in the South West. What is needed is the help of philanthropists and corporate sponsors to join as partners, as well as people with a passion for reading who want to become trained shared reading facilitators, to ensure that the net can be spread as wide as possible. TRO South West is holding its next 3-day Read To Lead Core Training Open Course at Dartington, Monday 23rd January – Wednesday 25th January 2012, 9.30am -5.30pm. Interested? Ring Sarah Hopkins on 01364 653994 or Casi Dylan on 0151 207 7207/e-mail casidylan@thereader.org.uk . Join Get Into Reading London Project Manager, Penny Markell, in a session all about reading Shakespeare in groups, with a focus on building confidence and encouraging wary readers – facilitators included – to have a go. Experience being part of a group that is reading Shakespeare, discuss how the shared reading of Shakespeare is similar to and different from other texts, and consider how to prepare an extract from a play to facilitate yourself. To sign up for the course, download the Masterclass booking form on our website. As we approach Dickens’ bicentenary next year there will be plenty of discussion about his life and work, including several new books which promise to shed light on the man behind the novels. 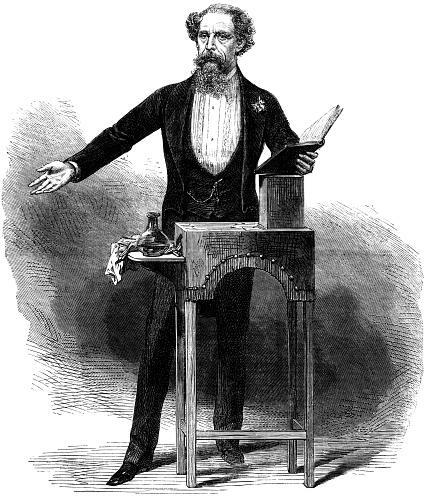 It is unlikely, however, that any of them will be as controversial as Carl Roberts’s This Side Idolatry, a novel published in 1928 which portrayed Dickens as ‘a hypocrite, philanderer, selfish, an egoist, vulgar, morose, and avaricious, caricaturing his friends in his books behind their backs,’ according to the reviewer from The Sunday Times upon its release. The book so offended the city of Portsmouth, where Dickens was born in 1812, that it was banned from its libraries; only now has it been restored to their shelves in the name of ‘freedom of expression and debate,’ says Dom Kippin, Portsmouth City Council’s literature officer. ‘Dickens’s literary legacy is strongly established and [Roberts’s] book merely adds to the rich tapestry of ideas and opinions that make him one of the English language’s greatest writers,’ he continues. So if you’re in Portsmouth and want to catch up on some literary gossip then head down to your local library and join in the debate! The Reader Organisation’s annual Penny Readings, which follow in a tradition established by Dickens, will take place in St George’s Hall in Liverpool on December 4th – full details to follow in mid-November so watch this space! Quick task: give yourself five minutes and write down as many metaphors/similes/idioms to do with food as you can. I managed ten and felt that, given time, I could have summonsed up many, many more. Now, write down as many single words to do with food that you can think of (but don’t include any actual food items). You should have a long list; mine included nourishment, sustenance, provisions. The English Language is “peppered” with references to food (and drink). Literature is the same, whichever language it is written in. Who can think of Proust and not then think of madeleines? Which literary-minded person can hold a peach and not think of Eliot? The examples are endless. 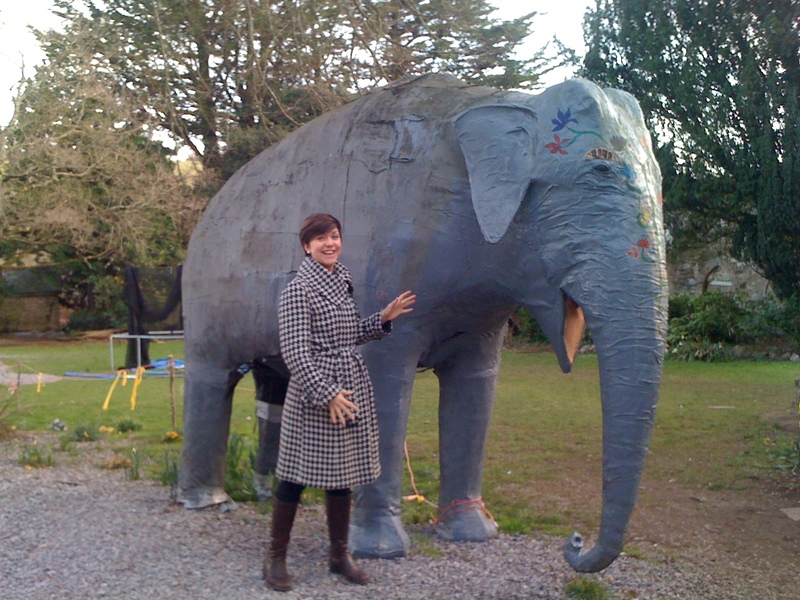 I have been working at an in-patient unit in Devon dedicated to the treatment of eating disorders. For nearly a year I have run weekly Get Into Reading sessions for men and women of all ages who are struggling, very intensely, with a mental illness that finds its outward expression through control over food. Food, and its ingestion/rejection, has consumed the lives of these people, to the point that they have been hospitalised. I don’t use the word “consumed” lightly; it is simply to emphasise how language can so easily be linked to ideas of nourishment, sustenance or deprivation. It is the same for literature. We consume novels. We absorb their stories and ideals. We devour poetry and feast on its imagery. If we have read something that disagrees with us (a newspaper article, perhaps) we feel depleted and long for nourishment of one form or another to regulate ourselves. With this in mind, I knew I had to choose what we read in my weekly GIR sessions at the Eating Disorder Clinic very carefully. My first intention was to avoid texts that had any reference to food. This was a well-intentioned decision that proved difficult to adhere to. Food is everywhere. I was determined, however, to provide an environment that could engage the service-users in a space of time each week that would not focus on the issue of food. We have read poems by Emily Dickinson, Louis MacNeice, Wordsworth and Poe. We have read stories by Tobias Wolff, George Mackay Brown and Chekhov. We are currently reading Animal Farm; food production, and who controls it, figures strongly in the novel but it is not the focus of our discussions. We are talking about the links between poverty and politics; we are talking about greed and want; we are talking about trust and betrayal. We are NOT talking about food. The Reader Organisation’s Director Jane Davis, our research colleague at the University of Liverpool, Dr Josie Billington, and The Reader magazine‘s editor, Professor Phil Davis will be talking at the ‘Strange New Today’ Victorian Studies conference at Exeter University on September 17th. Jane and Josie will hold a discussion on crisis, Victorian literature and “the reading cure”, and will highlight the informative and remedial value of Victorian literature for working through social, cultural, and psychological crises. In ‘The Victorians’ Phil Davis identifies the realist novel as a ‘holding ground’ for the complex emotional and psychological concerns which emerged from rapid industrial and social change. Through literature, and the public nature of the periodical press, authors and thinkers found a new medium of expression – reading and writing became remedial aids in times of difficulty. Such intellectual productivity, coupled with the desire to explore new emotional, social and psychological territories, caused these dramas of discovery to be played out in the very hearts and homes of the public. This English Nation, will it get to know the meaning of its strange new today? The conference will be held in collaboration with The Reader Organisation and will explore what Victorian literature can tell us about the society in which it was produced and how it continues to enrich and comfort the lives of readers today. 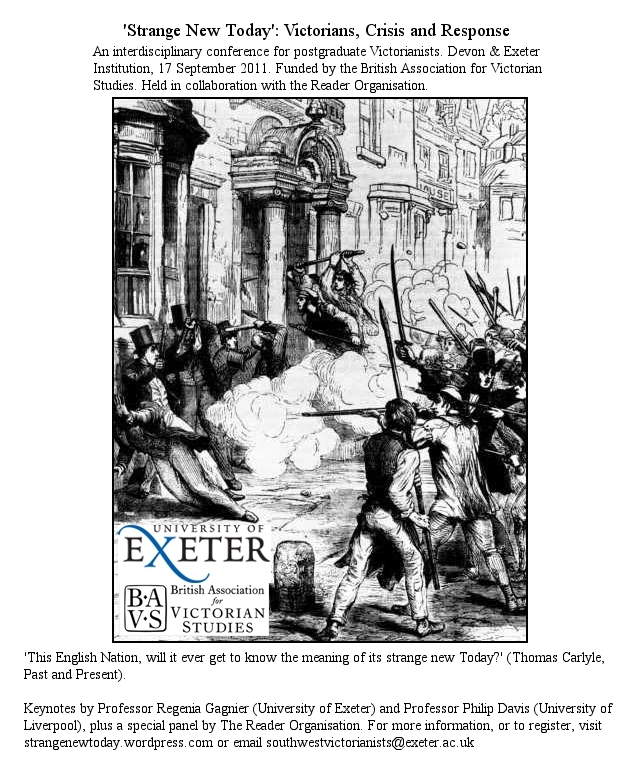 Any queries regarding the conference can be directed to southwestvictorianists@exeter.ac.uk. Get Into Reading now has a presence in the South West. Yes, that beautiful part of the world that boasts amazing coastlines, moors, hills, picturesque villages, clotted cream teas! 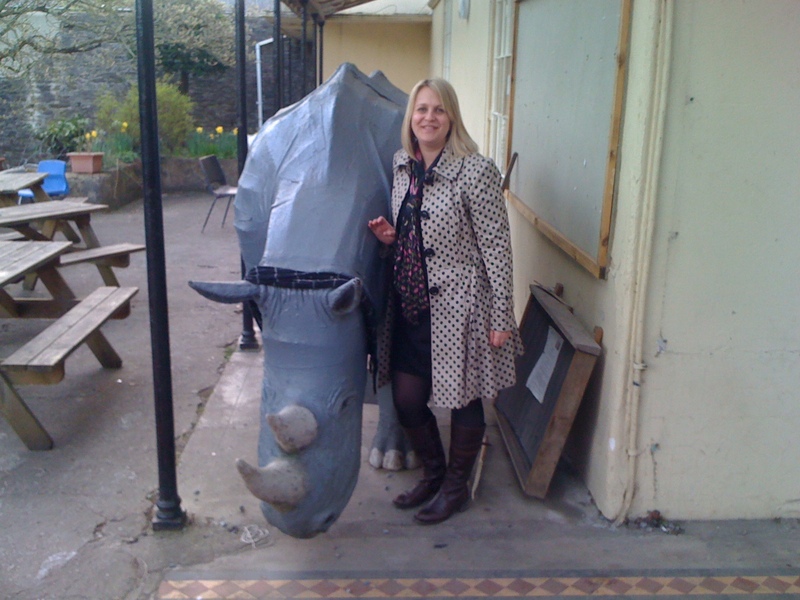 (It’s also where I grew up, so I’m bound to be a little biased…) However, as Zoe and I made our first visit down there to meet up with Project Manager Sarah Hopkins, little did we expect to come across these rather, ermmmm, unusual beasts on the edge of Dartmoor.